Access in winter: Upsete Fjellstove is trackless winter. It runs local trains (Vossa path) from Bergen to Upsete which takes about 2 hours. From Oslo, it takes about 6 hours with changes available on Myrdal.Det takes 3minutter with train through Gravhalstunnelen.Fjellstova is about 350 meters from Upsete station. Housing: We can offer accommodation in atmosphere from 1950 to 1970's, serves traditional Norwegian breakfast with packed lunch, and dinner. Pension Price kr.980, - which innkulderer made bed, 3 course dinner with coffee in the evening (18.30), breakfast had included packed with 4 slices. see www.upsetefjellstove.no for more information on rates. 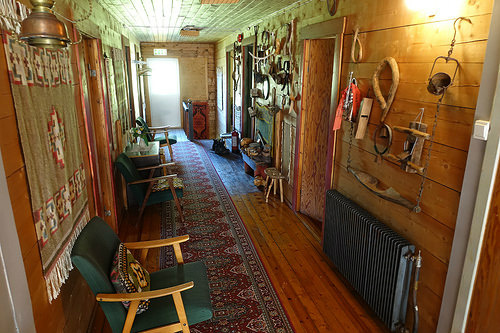 Fjellstova has 40 beds in single, double and family rooms. There are no bunk beds. The rooms have hot and cold water, and there are modern shared shower facilities and sauna. There are luggage lift from Upsete drive to the mountain lodge for guests who need it. 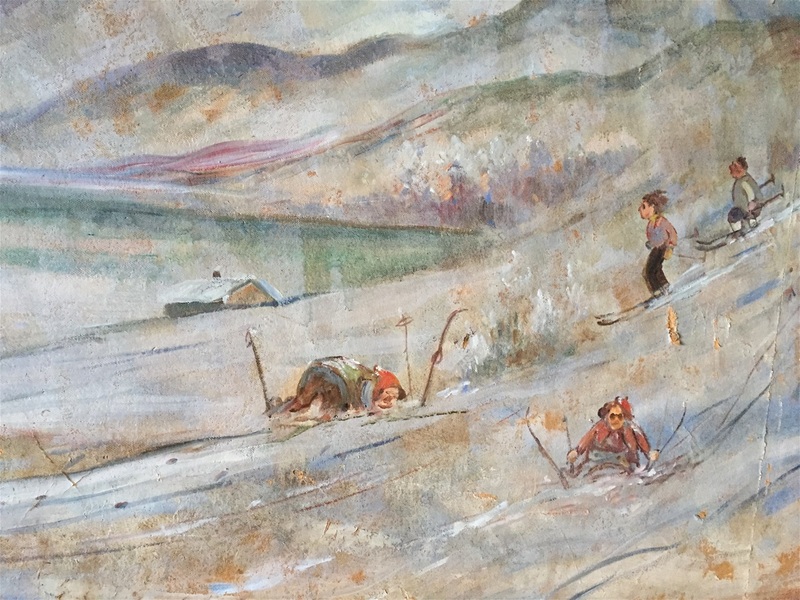 Skiing: There are many great opportunities for skiing in beautiful mountains between the Hardangerfjord and Sognefjord . There are good conditions also for randoneeski. Here is not groomed ski trails, but from about 3 weeks before Easter, is there staked route to Kaldavasshytta, Vossutferdslag its unstaffed cabin. Help with turvalg and hiking maps can be obtained at the mountain lodge. 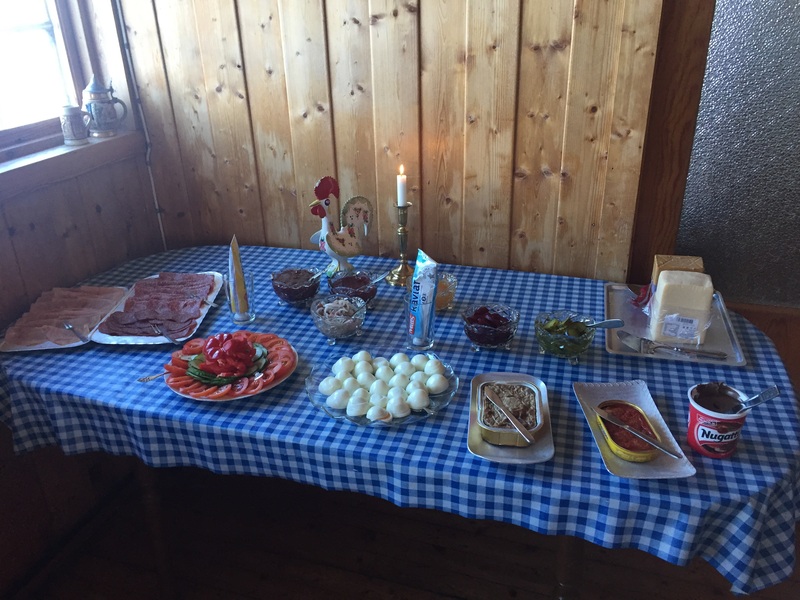 Here are the traditional Easter celebration with quiskveld on Maundy Thursday. Holy Saturday is the Easter races and banquet. Easter Sunday morning there is, for children, searching for Easter eggs that the Easter Bunny (parents) have placed around the mountain lodge. 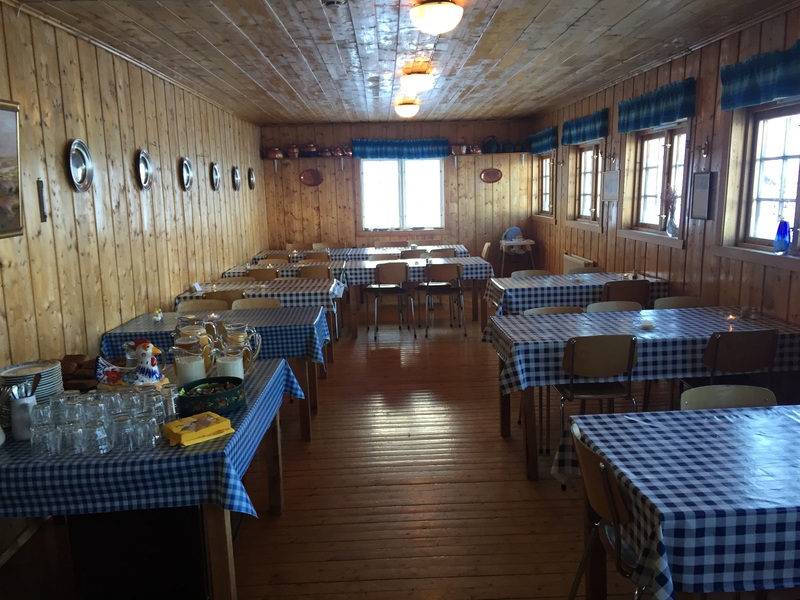 The lodge is located in scenic surroundings at Upsete station on Bergensbanen and the West mouth of the Grave throat tunnel (Gravhalstunnelen), a 2-hour train trip from Bergen and 5-6 hours from Oslo, Norway. It is located 885 metres above sea level on the high mountains at the top of Upsetedalen along the Bergensbanen and Rallarvegen. 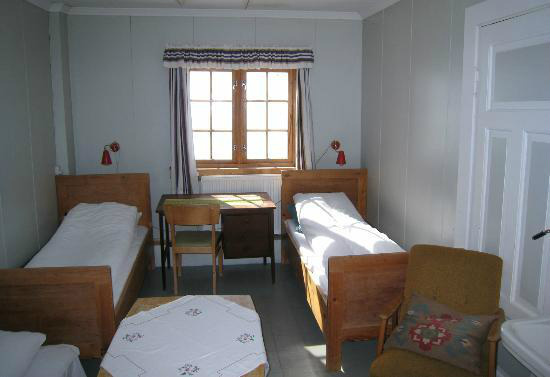 We can offer accommodation in an atmosphere of the 1950’s-70’s, and serve traditional Norwegian breakfast and dinner. How to get here : You can come here by train,mountain hiking,bicycle og by car. Driving the car from Voss up bautiful Raundalen to the end of the road and then drive on the "Rallarveg" to where it ends. For mountain walkers: We have many nice hiking possibilities for hikers of all ages. A map can be purchased. There is also the possibility of hiking to the Tourist Association's cabins as Kallevasshytta, and Grindafletne and Hallingskeid. Hike through the Ugjersdalen to Myrdal or Kårstø and Flåm is fantastic and can be recommended. There are also excellent fishing. To Bicycle Tourists: If you bike Rallarvegen to Myrdal, you need to take the local train through the Grave throat tunnel (Gravhalstunnelen) to get to the Upsete Station. The train takes 5 minutes and the bike can remain at Myrdal. Last departure from Myrdal to Upsete Monday to Sunday is at 17: 13. 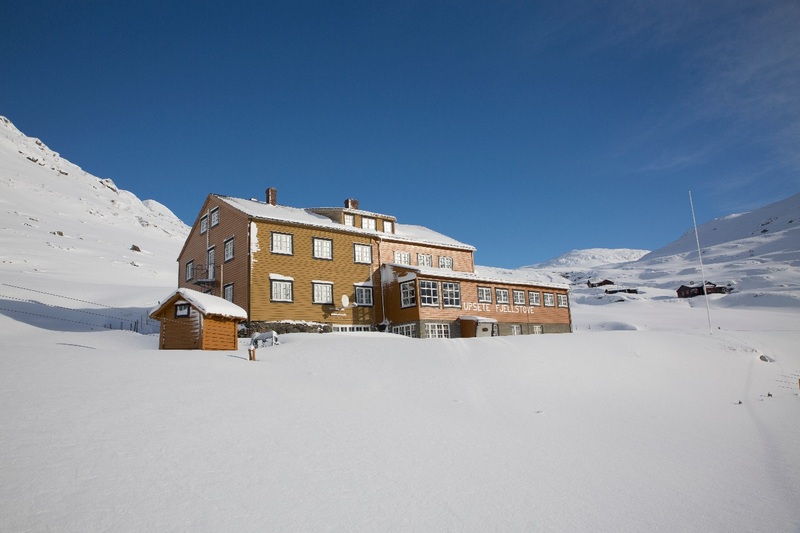 It is possible to return by train to Myrdal after breakfast, or walk 4 hours over the mountains back to Myrdal. 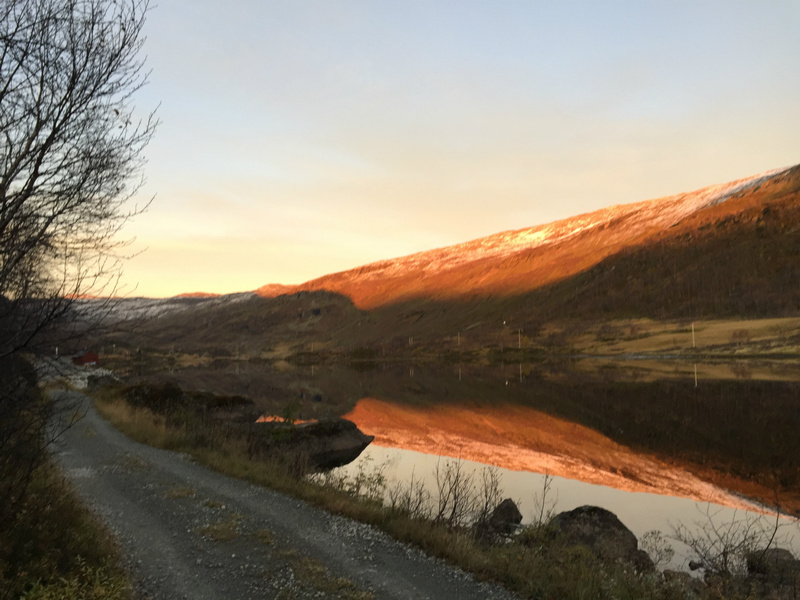 Rallarvegen to Voss starts here.Take your bike through the Grave throat tunnel (Gravhalstunnelen), and experience wonderful natural beauty about 40 km down the Upsetedalen and Raundalen to Voss. Children under 16 years are half price. If you have a sheet bag or sleeping bag is costs nkr. 100,- less. Youth price from 16-25 years with sheet bag or sleeping bag costs nk 100,- less. It is also possible to buy individual services such as accommodation and dinner. Beer and wine is available. Please contact us on Tel: 57 63 37 13 and +47 57 63 37 13 from overseas or upsetefjellstove@gmail.com for more information and reservations.